If you want some meat in there, you can always fry up some chopped bacon before you add the kale. The kabocha can easily be substituted with roasted butternut squash, or leftover roasted or boiled potatoes or sweet potatoes. Parmiggiano-reggiano is always a classic, but use your favourite cheese—I love me some Monforte toscano or some crumbled goat cheese. Cook the eggs to your liking—I always love my eggs on the runny side so that it sort of creates a little sauce of its own. With my oven and setting (rack in the centre), four minutes is perfect, but adjust to your own preference and oven settings. Heat some olive oil in a large ovenproof skillet or saute pan over medium heat. Add the garlic and chilli flakes, if using, and saute until fragrant, about 1 minute. Add the chopped kale and cook until half-wilted, about a minute and a half to 2 minutes (do it in two batches if the kale overflows your pan). Season the kale with a little salt and pepper. 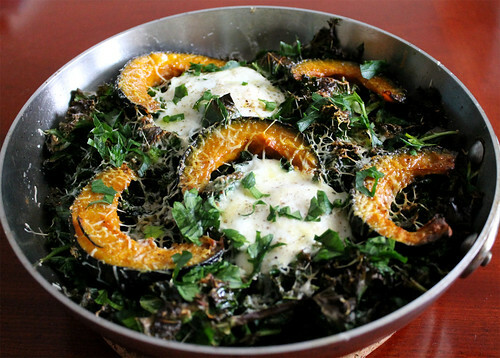 Top the kale with the roasted kabocha slices, and sprinkle over the herbs, if using. 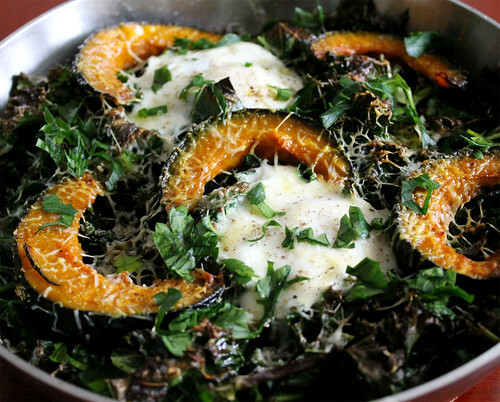 Crack the eggs over the kale and kabocha, and grate or crumble your cheese of choice on top. Season some more, if needed. Cook the eggs until the bottom just begins to set, about 1 to 2 minutes. Transfer your pan to the oven, under your broiler. Broil until everything is bubbling and the eggs are cooked to your liking (4 minutes gets me the perfect runny egg). Remove from the oven, squeeze over a little bit of lemon juice, and serve immediately. 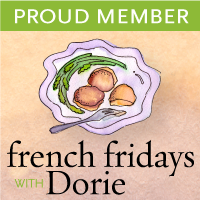 Enjoy (preferably with some toast)!